November is National American Indian Heritage Month. As we celebrate the positive sides of Indigenous Nations’ histories, we must acknowledge that the U.S. government has both robbed Native Americans of their land and, through the policies of the Indian Health Service division of the U.S. Department of Health and Human Services, made it difficult for Indigenous people to access quality health care. 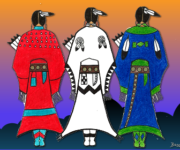 Indian Health Service (IHS) was established in 1955 with the stated goal of improving the health care of Native Americans living on reservations. However, Indigenous women who came into IHS clinics for something as common as vaccinations were often sterilized without their consent. During the 1960s and 1970s, 25 to 50 percent of women who visited IHS clinics (approximately 3,406 women) were sterilized without their knowledge. Methods of sterilization included partial or full hysterectomies, and tubal ligations. Bodily autonomy is about having the power to decide for oneself whether and when to bear children. The IHS had a clear objective: population control (aka “genocide”). Census data collected during the 1970s showed that Native Americans had birthrates that were much higher than white communities. According to census data, the average American Indian woman had 3.79 children, while white women had 1.79 children. The 1980 census revealed that the average birthrate for white women was 2.14, while the birthrate for Indigenous women was 1.99. You don’t have to be a math whiz to see that this is a drastic contrast.